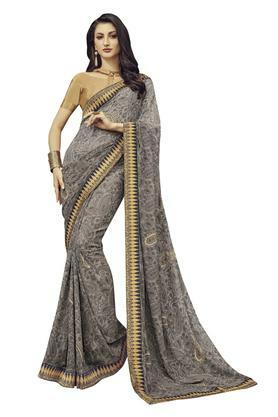 Get complimented for your sense of style by wearing this saree presented to you by De Marca. It has been tailored with care using georgette fabric, which not only has a nice finish, but also offers utmost comfort throughout the day. Moreover, it features a printed pattern that is further accentuated by a nice colour combination.